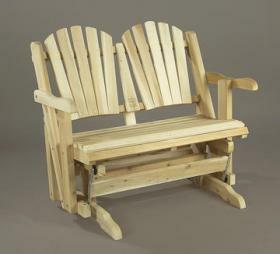 Spend some real quality time with the one you love in our Adirondack-styled Loveseat Glider built for two. The quality gliding mechanism ensures smooth and quiet movement while the sturdy cedar construction delivers years of maintenance-free enjoyment. Coated hardware is rustproof for long-lasting wear.